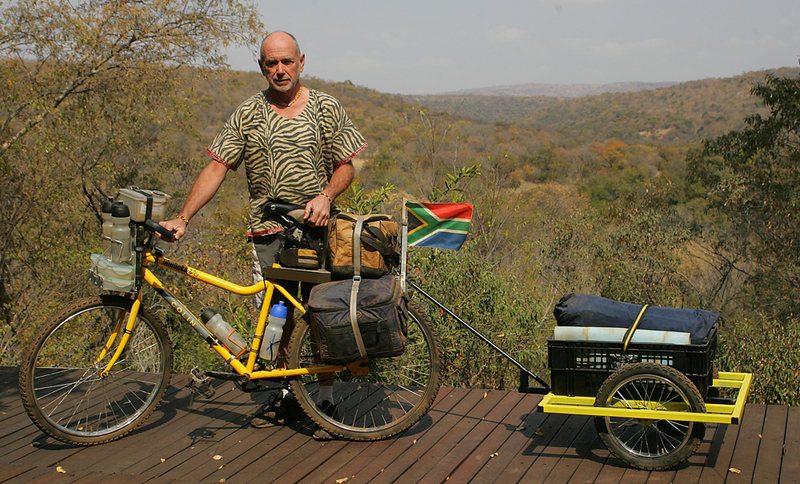 This is Colin’s expedition bicycle. He has also built a trailer to carry everything he needs with him when he’s camping. To make the bicycle lighter, Colin removed the mudguards, chain guards, stand, rack and steel handlebars. 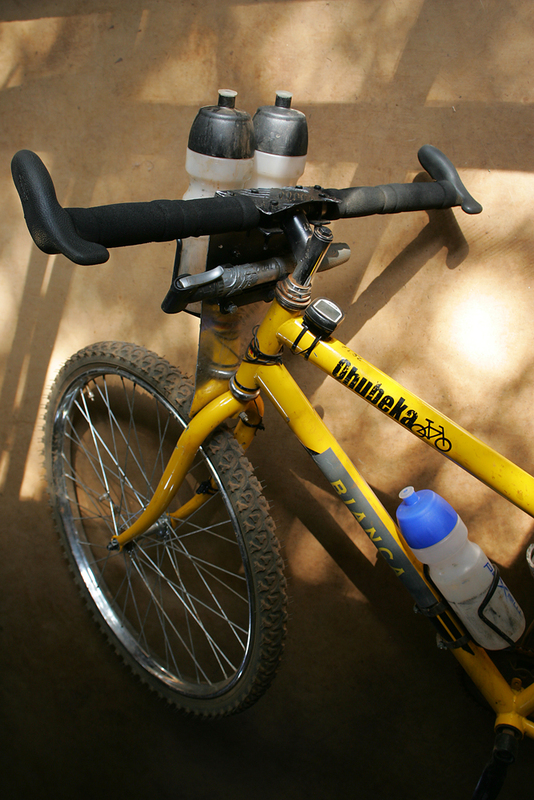 He then added an aluminium rack, MTB alloy handlebars with bar ends, and foam grips made from 20mm black hosepipe. 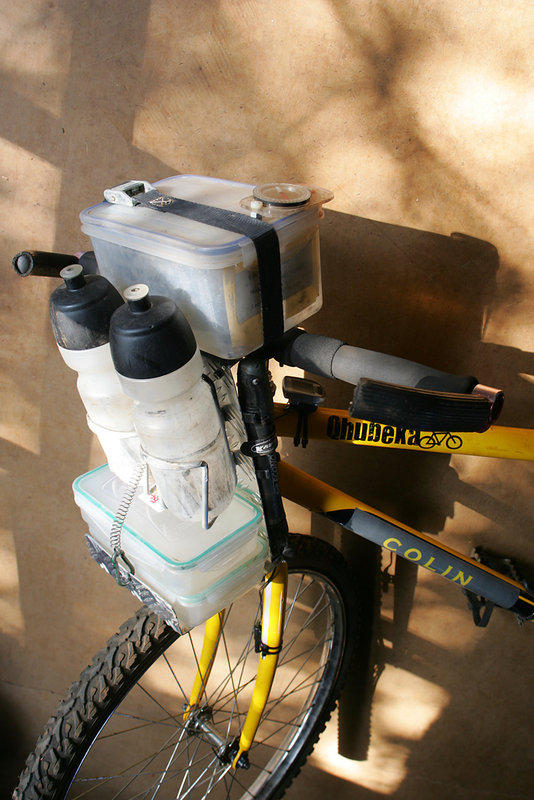 He also added four bottle racks and made a front rack, which carries containers for lunch, bike tools, pump, a first aid kit, compass and top box for maps. Colin calls this his “race bike”. 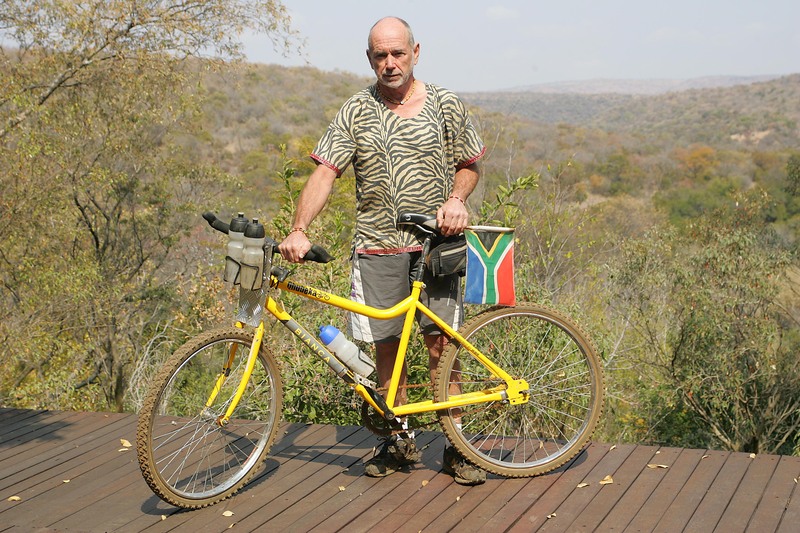 This is the bicycle that Colin used in the 23km Groot Marico Mountain Bike Race a few weeks ago. If you’d like to pimp your own Qhubeka bicycle, whether you want to simply change the handlebars or give it a complete custom paint job, we’d love to feature your pimped bicycle on our website. 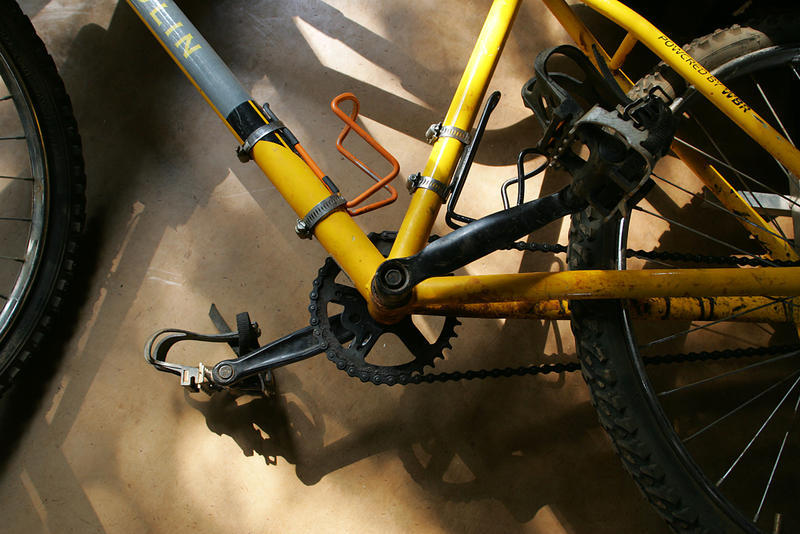 Read more about how you can purchase and pimp your Qhubeka Buffalo Bicycle.